Whether Operation Green Hunt actually exists or is, as P. Chidambaram insists, a figment of the media’s imagination, Monday’s deadly Maoist attack on a bus in Dantewada suggests it is the hunted that are doing most of the hunting. Over the past six weeks, the Maoists in Chhattisgarh have killed more than 90 policemen or jawans from the CRPF or local constabulary. The 76 men killed in Chintalnar in April represent, perhaps, the highest casualty figure sustained by state forces in a single incident in a war anywhere in the world in years. Apart from the six villagers executed on Sunday after a kangaroo ‘peoples court’ found them guilty of being “informers”, the Communist Party of India (Maoist) killed 15 civilians in their attack on the bus, injuring scores more. In the latest incident, the primary target was probably the group of Special Police Officers (SPOs) who were travelling on the roof of the bus. But even so, the fact that the bus was full of civilian passengers would have been obvious to the Maoist commanders whose spotters were apparently tracking the SPOs. That they chose to go ahead and detonate the land mine or IED by remote control knowing a large number of non-combatants would die should be a lesson for anyone who harbours illusions about the Maoists and their project. When I had the opportunity to put some questions in writing to Azad, spokesman of the Maoists, in March, I was keen to push him on whether or not his party believed it had an obligation to conform to international humanitarian law. This is the body of rules which regulates armed conflict. The targeting of civilians and the killing of captives, for example, is expressly forbidden. As a format, written questions and answers do not allow the interviewer to pose counter-questions. Given this limitation, I anticipated the answer Azad would give on the question of the laws of war – that his fighters were not obliged to follow them because the government itself wasn’t doing so – and suggested this was tantamount to admitting the Maoist party subscribes to the same political culture and moral universe as the state it condemns. This suggestion of mine was met with silence but the attack on the bus is answer enough. The Maoists are not Gandhians with guns. The authorities can console themselves by saying the latest attack shows the “growing desperation” of the Maoists, or that the targeting of civilians by them will be their undoing. But the fact is that by any metric of warfare, they are the ones who seem to have the upper hand. And they have it not because Indian democracy is robust enough to allow for a debate on the rights and wrongs of official policy or for PILs to be filed in the Supreme Court but because the CRPF, local police and SPOs on whom the Chhattisgarh government and Centre rely lack training, discipline, equipment, mobility and motivation. Instead of squarely facing this problem, Mr. Chidambaram and his colleagues in the Home Ministry are busy pointing fingers at others or bemoaning the lack of a “mandate” to fight the Maoists. More than “social activists”, it is the government that ought to be concerned about the fact that many of the “successes” notched up by the security forces in Chhattisgarh have turned out to be bogus. For example, most of the dozen odd naxals supposedly killed in a fierce encounter last fall near Gompad were innocent villagers, some of them elderly. There is both a moral and a military issue at stake here. Killing innocent people is wrong but it is also militarily foolish. Passing off ordinary villagers as Maoist combatants and faking entries in official log books may help the security forces present an inflated account of their success but will make actual victory on the ground even more difficult. On Tuesday, the Home Minister reiterated the importance of the so-called “two-pronged strategy” to deal with naxalism: “One prong is police action, and the other prong is development”. Unfortunately, neither prong is being followed very effectively. Indeed, the fact that there is today in Chhattisgarh an inversion of the supposed hunt is precisely because the state and central governments have made a mess of both policing and development. Thanks to a disastrous counterinsurgency strategy, several hundred innocent villagers have been killed, thousands of dwellings destroyed and tens of thousands of adivasis displaced. 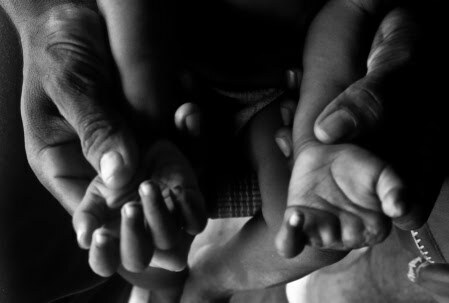 In Gompad last year, the SPOs cut off the fingers of a two-year old boy, Suresh. The Hindu published his photograph on October 20, 2009. Not one word of condemnation or remorse was heard from Mr. Chidambaram or his ministry. Far from weakening the Maoists as its supporters claimed it would, the Salwa Judum vigilante movement which both New Delhi and Raipur patronised for years has strengthened the insurgents. This is precisely what the petitioners who filed a PIL in the Supreme Court in 2007 against the vigilantes had warned would happen. In a recent RAND Corporation monograph, How Insurgencies End: Key Indicators, Tipping Points, and Strategy, Ben Connable and Martin Libicki conclude their survey of 89 past and present insurgencies by noting that ‘anocracies’ are the one form of government least likely to prevail over an insurgent force. Democracies do best and dictatorships sometimes prevail through sheer repression but the anocracies do worst. An anocracy is a phony democracy, which is good at neither proper democratic methods nor full-fledged autocracy. Its institutions are weak and poorly developed, offering little possibility for the government to isolate an insurgency from the people in whose name the fight is being waged. But the need to preserve the façade of democracy also means the full panoply of repressive measures – air strikes, mass arrests, censorship – is not available either. India may be an imperfect democracy but I do not believe it is an anocracy. And yet, one could argue that state practice in Dantewada and other parts of India is anocratic. Based on the RAND data, then, it is safe to assume the Maoists are not going to be defeated any time soon. The choice we face is to democratise or autocratise the state’s response and the wider machinery of governance. Those who want to autocratise favour a dramatic escalation of the war, the rapid deployment of large numbers of security personnel, the use of air strikes. They are also intolerant of dissent and are quick to label any criticism of official policy as ‘support for Maoism’. Prime Minister Manmohan Singh and Congress president Sonia Gandhi are coming under intense pressure from this faction but they know the problem will grow exponentially if the government goes autocratic. And yet, they lack the confidence to democratise. What would democratisation as a counter-insurgency strategy look like? First, this requires strict adherence to the laws of war. No one can question the state’s right to fight those who take up arms against it. But non-combatants must never be targeted, let alone allowed to get in harm’s way. This would also mean ending the practice of billeting jawans in school buildings and other civilian infrastructure or hitching rides on civilian transport. India may not have signed the Geneva Convention additional protocol on internal armed conflict but Common Article 3 of the four conventions to which India is a party – not to speak of the Indian Constitution – prohibits violence against those not taking active part in hostilities or against combatants who are in custody. The reason the laws of war are important is that they provide a measure of protection to both sides, not to speak of civilians. Second, the Centre should support the plan, currently before the Supreme Court, for the comprehensive rehabilitation of all those displaced by the violence in Dantewada. Third, the government should seriously consider a mutual ceasefire so as to push the Maoists towards dialogue. The cessation of hostilities, if extended, would allow the Dantewada rehabilitation plan to be implemented under the overall supervision of the apex court. Fourth, every manifestation of autocratic behaviour – the farcical public hearings on land acquisition for mining and power projects, the filing of criminal cases against poor adivasis for minor violations of the Forest Act, has to stop. As for the Maoists, they need to realise this is not a war they can win. The Indian state’s capacity to absorb punishment is far greater than the Maoists’ ability to inflict violence. Whatever else its lacks, India certainly doesn’t need more soldiers, guns and IEDs. What it could use is a strong political movement to give voice to the aspirations of ordinary workers, peasants, tribals, women and other marginalised sections. Mao may have said power flows out of the barrel of the gun. But he also said to put politics in command. Alas, in Chhatisgarh today, there is no politics. These are some of my ideas of how we can aggressively and effectively push both the State and Maoists to Peace talks, along with involving various other Adivasi and civil groups. I am looking for people to guide me, strategize and lead the movement. The problem and the need- The problem I want to address is to do with the deep polarization in this conflict and the discourse surrounding it. The State and Maoists have been criticized and condemned for their acts of violence and human rights violations and some of the criticism has led to de-humanization and demonization of both the parties. These condemnations and criticisms have taken the responsibility of being civil off their shoulders, though the intention was the opposite. Each party has effectively countered the criticism by blaming the other party to be the cause of the cycle of violence, and blaming the civil society for lacking a deeper understanding of the problem. The need therefore is to develop a new strategy, to which both the parties are not prepared to counter and take them by surprise. Empathy Project and why will it work?- I am calling my project Empathy Project, for now.. The project does not aim at shaming and humiliating anybody, but sincerely developing deep empathy for the other. Empathy needs to be defined and redefined as we move ahead in our process. I think, the major strategy of the project is to understand the stands of both the state and Maoist and commend them for their contributions to the nation. We totally refrain ourselves from any criticism and condemnation of their actions, however heinous they are. We would however, show a sincere, non-sarcastic disappointment with the acts of violence. Trust needs to be openly expressed so as to build positive pressure. It should work because we are expressing a great amount of trust on them and then forcing them to act on that trust. The process also should make it difficult for the State to paint every human rights activist as a Maoist sympathizer and for the Maoists to call every middle class Indian as insensitive and greedy. – to find online spaces like face book, Google groups etc- where we narrate victim stories. Narrate stories of deaths, rapes like one would narrate an accident or illness and refrain from openly blaming a party (though it would be present in the story) and urge both the parties for peace talks. – We can give birthday greeting advertisements in newspapers (local and city editions) of the leaders of both sides appreciating their work and urging them to come to table for negotiations without making any excuses. In a way this Communist-Maoist war resembles the 'very pure versus slightly less pure' war (Taliban versus Pakistan Army) going on in Pakistan. Just as in many ways there are similarities between Jihadi's version of Islam and communism itself. Both pure's draw inspiration from same source..The very pure think that the less pure have deviated from the ideology and are 'fixing it'. The very pure are actually none other than the less pure who got themselves purified even more. The less pure, who wanted to control and manipulate the very pure to suit their own personal and power-seeking goals, and use them as a mailed/outsourced fist and force multipliers now find the manipulated don't want to be manipulated anymore and have grown brains of their own…the mutually reinforcing, supporting linkages between the very pure and less pure are under enormous strain…the mullahs (intellectuals) who kept their hands clean even as they encouraged and inspired murders and throat slitting are now torn in their allegiances, some supporting the less pure and some the very pure. Since you feel that CRPF , local police and SPO's are undisciplined and have something on their plate more than they can chew , do you think a more disciplined force like army should take up the mantle ? Discipline is not something you can develop overnight and it has to be an organizational culture .when Mr .Chidambaram says that he has limited mandate he speaks of lack of airpower and Army at his disposal .Naxal's are hardened guerilla fighters and we need the best of our forces to deal with them .The fact that CRPF repeatedly fails to adhere to SOP demands that army take this operation .Chattisgarh is not Andhra pradesh where grey hounds virtually cleaned them off by precision hits .It is dominated by naxals and they have sympathy among the people it only makes the guerilla war complex and requires the best of army and airforce helis to act in cohesion to fight these fighters . Finally it's naive to assume that we can convince Maoists into cease-fire . They wont accept any ceasefires or negotiations as long as they believe they have upper hand in the guerilla war . Atleast if i were a naxal fighting in forests for so many years and have inflicted so much damage on police wouldn's accept a cease fire . I would see the police and establishment as weak . Finally my conclusion is we should use professional army to democratize this war and inflict military losses on Maoists toss send a clear message that Indian state is tough and can never be won over .This is not a war between Indian government and Maoists fighting for poor people it's a war between democracy and communism ..The Maoists are not fighting for adivasis or poor people they are fighting to wipe out democracy in this country and install communism and they want to repeat the entire russian episode in India .The despise China , Nepal and all the communist countries for giving up true communism they promise the pure communism for this country .We should stop fooling ourselves that this is a war between poor tribals and state ..
Maoists are fools , once slow to wake up Indian war system starts up their youth of between 15 – 35 of age will be wiped off under a news blackout over 5-10 years timeline. Military divisons can be recycled for R&R but their youth once gone are not replaceble . Resistance is futile its is better GOI help them to get educated and assimilate and elect their own leaders under democratic umbrella than this stupidity. How can the 'left' that worship the same set of mass murderers, despots and tyrants, draw their ideological inspiration from the same cess pool and are equally happy to engage in violence to enforce their writ and to grab power be the 'solution'. That is like saying the problem of alcoholism can be solved by turning drunkards into drug-addicts. A few comments, first on Maoists. Their habit of not going into theoretical aspects but depending almost solely on physical action is a major problem. Within that framework the Maoists cannot see that every 'true' opposition is opposition to idea. They are miserably failing to be that 'true' opposition, when they share the same moral & ethical (and political too) universe of the entity they propose to oppose. Regarding the government's duty, it has to differentiate between the the agency, that is the Maoist Party, and the Tribals. As the author rightly said, non-combatants has to be protected, not targeted (as a part of 'democratisation'). But that requires political faith of the govt. on those people. This govt. which favours the mining and financial interests, has a direct clash of interest with the people residing in those areas. For that, the govt never believes that they enjoy the trust of those people, and hence no such political faith. The solution lies with the presence of an external (external in terms of maoists or the govt)force, i.e the Left, which can force such 'democratisation' process. With a weak Left, such solution is hard to come. This entry was posted on May 19, 2010 by Siddharth Varadarajan in Chhattisgarh, Indian Politics, International Law and IHL.